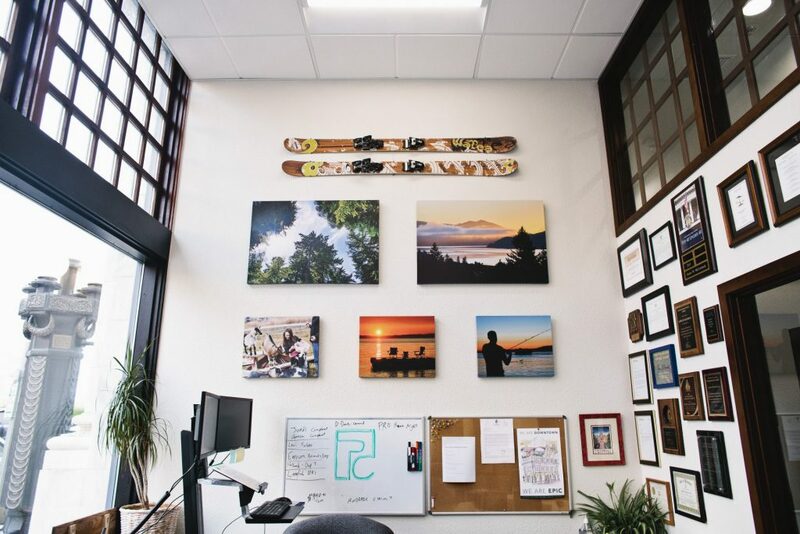 As we have finally settled into our new home here at downtown Tacoma’s historic Bowes Building, our attorneys have enjoyed the opportunity to decorate the new space. 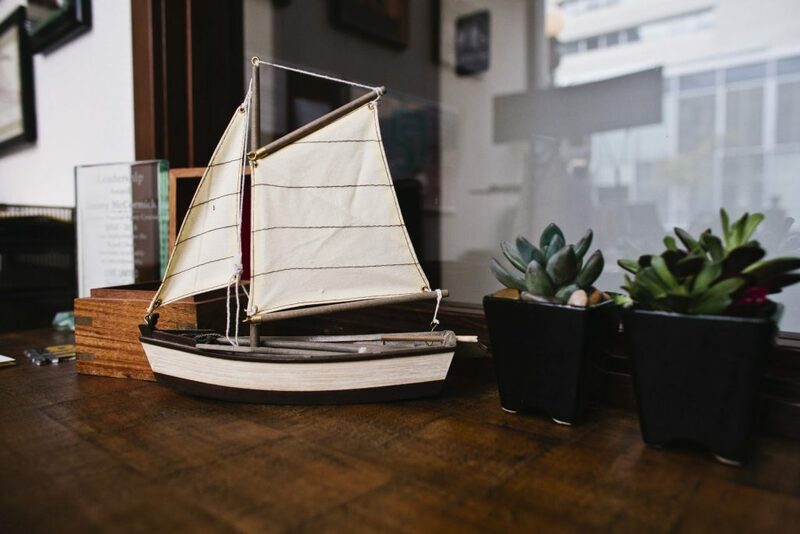 Each office is adorned with special touches selected by the respective attorney to represent their unique personal brand. Evergreen Personal Injury Counsel attorney James McCormick is the embodiment of the Northwest lifestyle. Although his career is dedicated to personal injury litigation, some of James’ favorite hobbies include riding off-road motorcycles, boating, and skiing. 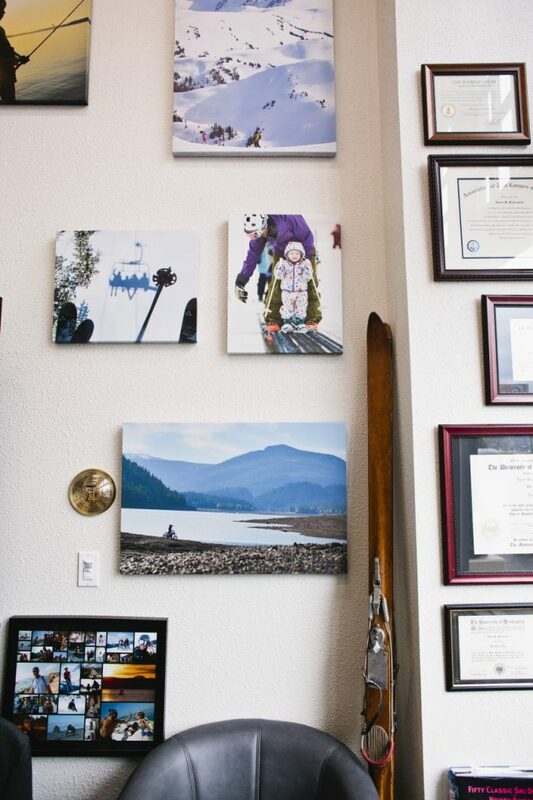 A pair of traditional wooden skis sit next to scenic Washington art and family portraits by James’ wife and award-winning photographer Oona Copperhill.